An established organization looking to grow. 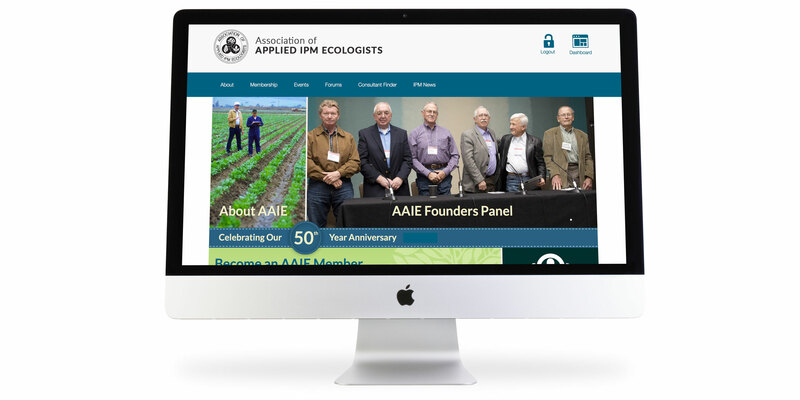 For the last 50 years AAIE has been a pioneer in IPM innovation and has demonstrated the ability to adapt to its changing industry. 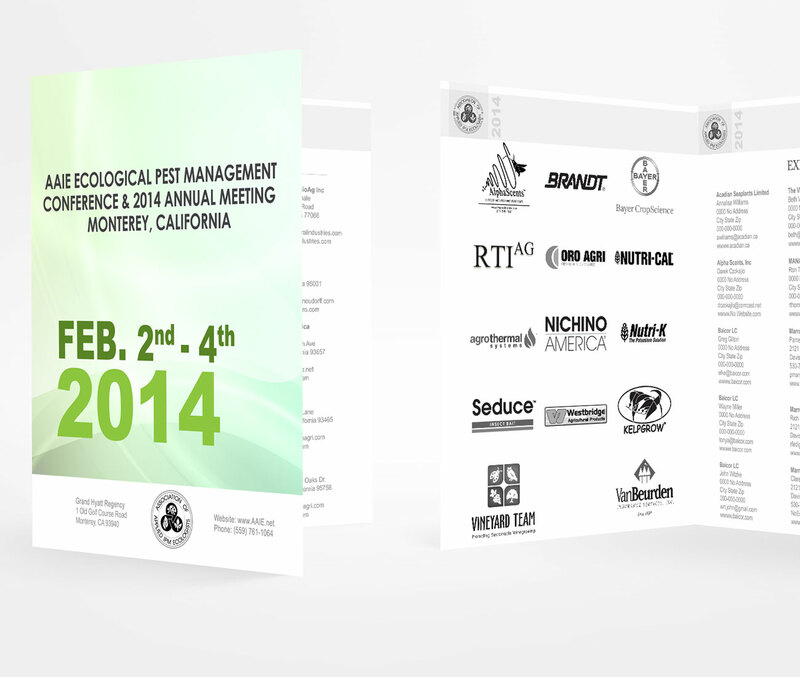 In the very beginning, WJ was hired to simply provide event photography for the annual AAIE member conference. 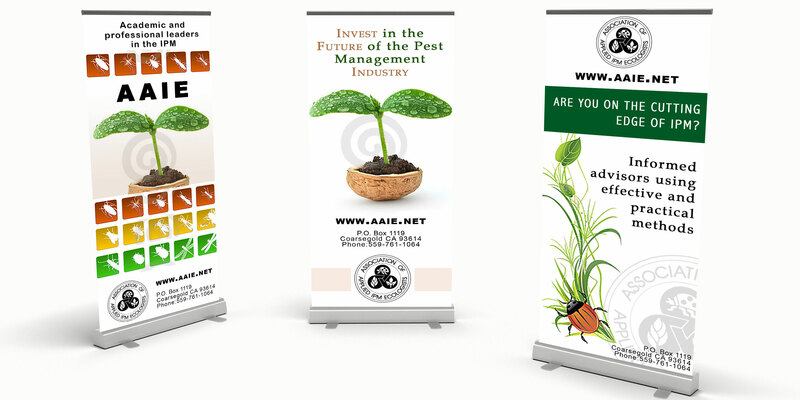 Since then, AAIE has engaged us to assist them in growing their membership base and cultivate a contemporary brand identity. 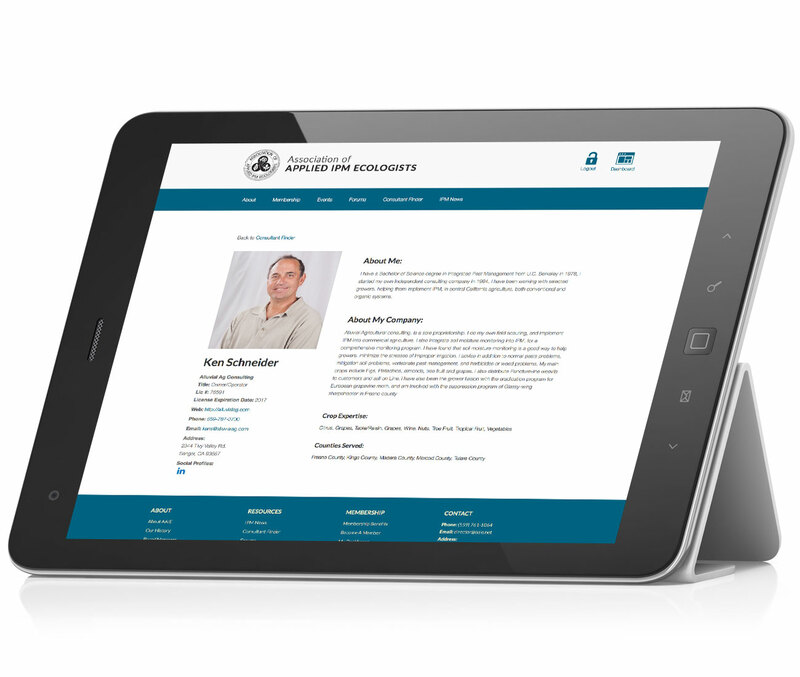 We built a website that was easy to implement and that can grow with the organization’s brand. 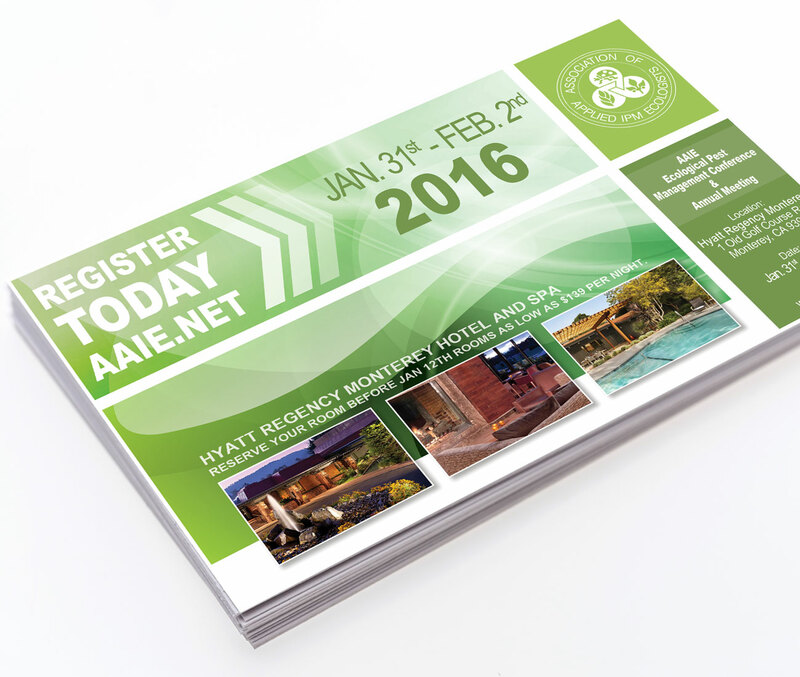 AAIE was in need of a fresh look throughout their marketing pieces and hired us to provide graphic design for signage, mailers, digital presentations, conference programs and more. Attract more members and keep them involved. 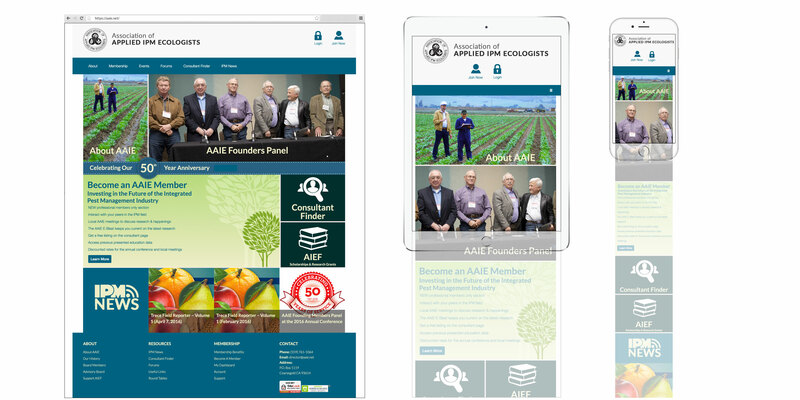 AAIE came to us looking for ideas to build member engagement on their website. Our solution was to create a community in which the members could interact and provide their valuable expertise and knowledge to fellow peers. 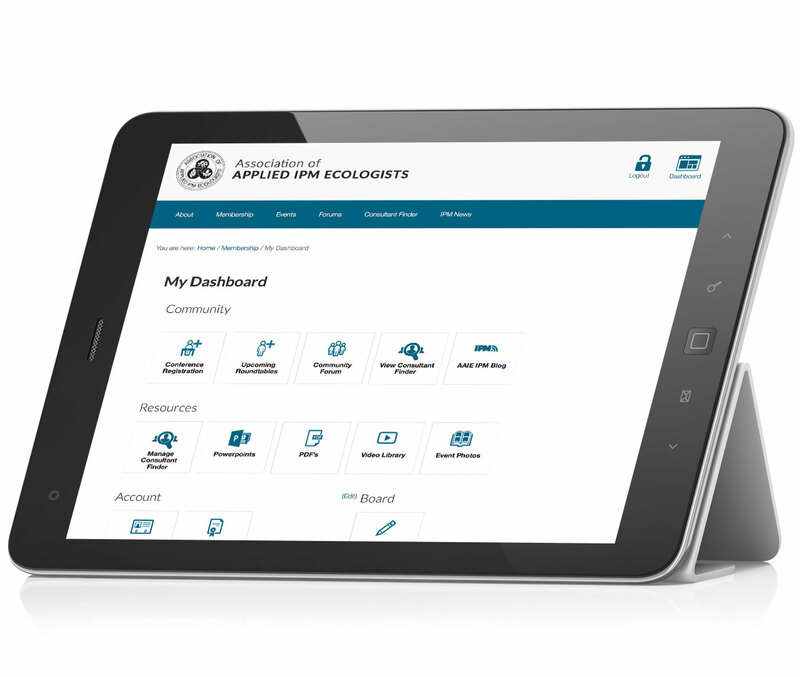 An exclusive “members only” back-end was developed with features such as forums, a consultant directory, education materials, and more. 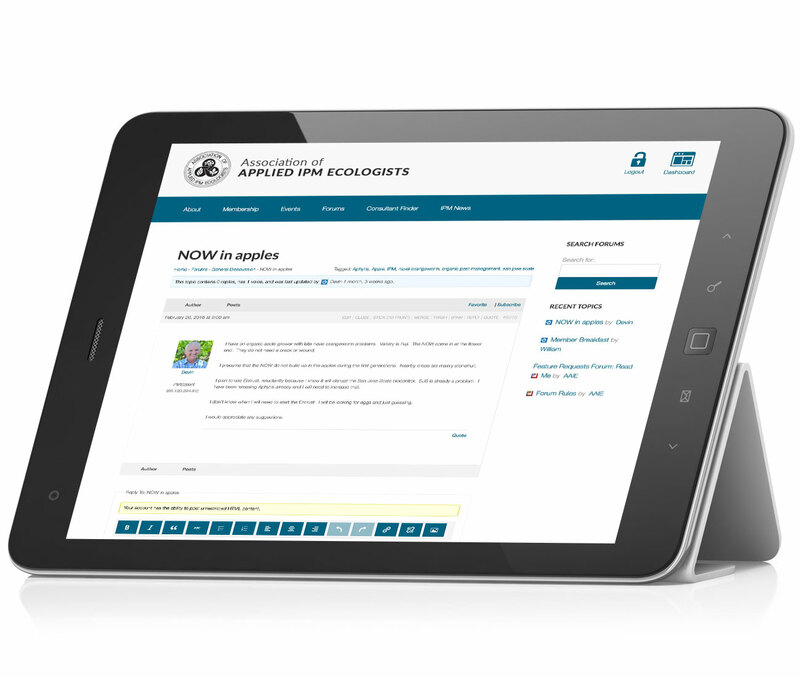 The website is now a place where members can go for information and insight; where they can participate in online community; where they can register for events; manage their membership profile and even their yearly renewal. Appeal to a younger generation.